Damaged carpet disposal. Three unnerving words which require removal and a whole lot of work. Depending on the condition and installation type, you might need more than two people to pull this job off. However, it the majority of cases, just a couple of people can do this in about a half hour. Although, that doesn’t account for the time and effort to dispose of it. Okay, so the first thing you need to consider before you begin the actual work. And, that is what you’ll do with that old carpet and the padding. This is where many home improvement project go wrong. That’s because people simply do not think about what they’ll do with the waste.For instance, if you’re remodeling a kitchen or knocking down an interior wall, you’ll more likely to focus on the finished product. You’re just not concerned with the logistics all that much. Sure, you’ll think about the necessary work. But, what about the remodeling debris removal? This is where things go awry. It isn’t until you’re well into it that you realize something must be done with the remodeling debris. Take the base trim off the walls. Take the base trim around the walls off. You’ll just need a pry bar to do so. Exercise caution if you plan to reuse the trim again. Start in a corner. Pull up the carpet itself. Now, this shouldn’t be all that difficult, but it can present a real challenge. Start in the corners and test which most easily comes up. Then, work your way around the outside of the room. Roll up the padding and examine the subfloor. Roll up the carpet padding into one roll. Or, cut it into two sections to create two smaller rolls. 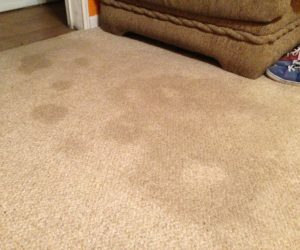 When you need damaged carpet disposal, go ahead and phone 800-433-1094 or visit Junk Garbage Removal.